The view from this mass of endless blackness is quite spectacular in summer. 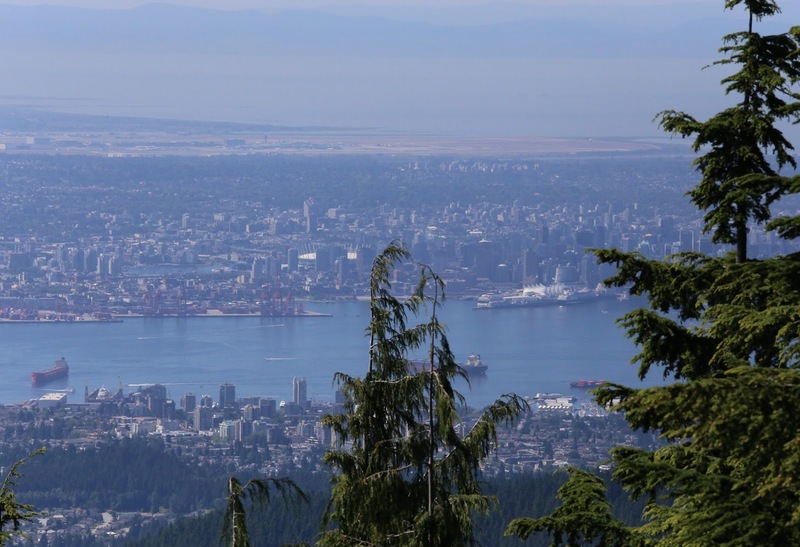 This is the top of Lynn Peak, looking across the inner harbour of Burrard Inlet to downtown Vancouver and beyond to the airport. A bald eagle wheeled overhead, ships dawdled in the harbour, and aircraft took off to the US, Canada, and Asia.